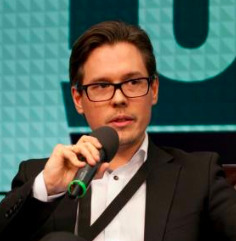 Thierry Cellerin is the Founder and CEO of BuzzFactory. Based in Moscow since 2002, Thierry moved from agency executive to entrepreneur in 2009, when he launched BuzzFactory to assist leading international companies mastering digital marketing and technology solutions on Russian market. Today, Thierry continues to develop and execute entry strategies for a number of foreign clients and digital marketing strategies for local clients, while also acting an advisor/investor to promising domestic marketing startups.